Castleton is a village in high peak district of Derbyshire; it is very famous for the celebrations during Christmas. The time spend here in Christmas is a time well spend. People from all over the globe travel to this destination during winters so that they can celebrate Christmas in the best way. This place is famous for the celebrations it offers during the Christmas time. It has been since so long now people are coming every year in the month of December with their family members to celebrate. Castleton has its own charms and one can only get to know this by visiting here on a holiday. 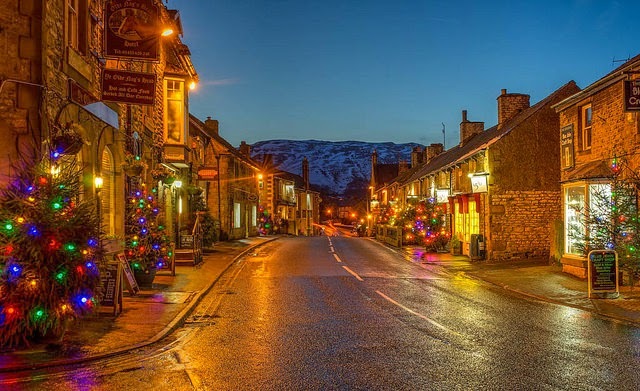 Castleton has been successfully entertaining people during the Christmas time and now has become a perfect Christmas holiday destination as compared to a holiday destination. 1. Large numbers of tourists travel to Castleton during winters, for the astonishing gathering of celebrations of Christmas. 2. People across different countries come to this place because of the simplicity this place has offered. 3. With cheap accommodations and many places to hangout this remains the best choice. 1. One can enjoy to the fullest with a good wine, as end number of pubs and parks are present here. 2. People who are fond of drinking, it’s a paradise for them. One can even enjoy in the parks with family or loved ones. 1. There is no trouble caused in the accommodation due to the presence of so many hotels which are available for the tourists. 2. This place can hold many tourists at a time without creating any trouble. From 5 star to ordinary hotels, one can choose so much to stay. 3. Plus the cost of accommodation is not very high so it makes it easy for everyone to stay or stretch the holidays. By Road- one can easily reach by road from A625. It is the easiest and fun filled method of reaching this point. Be it your family or friends everyone will enjoy a road trip. By Public Transport- Castleton does not have any huge bus station, but will meet your requirements. By Train- since there is no railway station, the nearest point from which you can catch a train is Hope Station which is about 3 kilometers away.